As the holiday season ramps up, it is important to discuss how to stay on budget throughout the cooler season. This includes buying gifts for family and friends, but can also extend to big holiday meals, decorations, and anything else around the holidays that will cost money. Staying on budget over the holidays is key. No one wants to find out they are in serious debt when they brush off the glitter after ringing in the New Year! Set yourself up for success with these five ways to remain on budget over the holidays this year. The first mistake people make is not setting a clear holiday budget in the first place. This is a recipe for disaster, particularly if you have limited funds to begin with! Thus, the first thing we recommend is to review your finances. What do you make? How much do you normally spend? Use these numbers to help determine how much you can reasonably spend on holiday expenses and Christmas gifts for loved ones. Just remember to account for your regular daily needs—don’t cut those out completely! When you do start holiday shopping, whether it’s for gifts or supplies, you should keep all your receipts. Set up a spreadsheet on your computer and use those receipts to track your spending in comparison to your previously determined budget. If it helps, you can also record them based on category (e.g. gifts, food, decorations). This can help you determine a holiday budget in future years besides having more control over your current holiday budget. It’s the thought that counts. 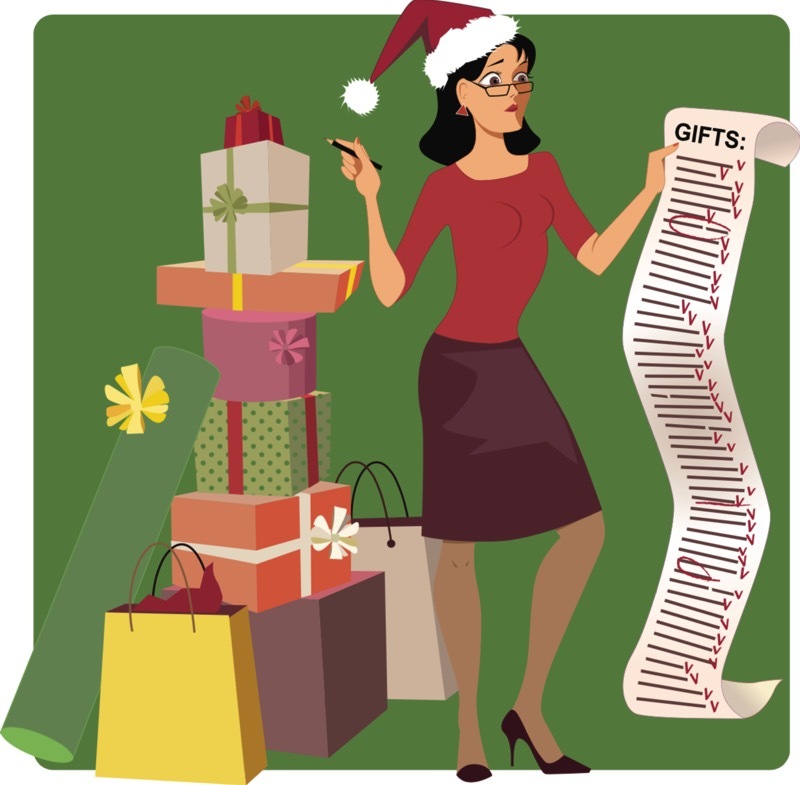 If you find you are struggling to stay on budget, or know you won’t be able to afford the gifts you want to get, do-it-yourself gifts are the perfect solution. While you will need to spend some money to get started, these gifts are far lighter on your wallet and will only cost you time. Good ideas to start with include creating Christmas ornaments, decorating mason jars to store hot chocolate or small treats, et cetera. Sometimes people automatically assume they are going to receive a Christmas or holiday bonus from their employers. While this might be true of many, it can be hard to predict what you are going to get if you are sure you will have a bonus. This is why we highly recommend against basing part of your holiday budget on a potential bonus. If it happens, you can extend your holiday budget or treat yourself—but base the rest on your regular finances and be conservative for best results. A big part of why people go over their budget for the holidays is because they want to buy elaborate gifts for just about everyone they know. Instead, we suggest making a select list of people to buy elaborate gifts for and focus on them. If you still have a few others to buy for, we recommend smaller gifts to help you save. This is where things like small Christmas ornaments, holiday cookies, and DIY gifts can fill up your extended gift list.